Founded on carbon neutrality, recycling and complete access via public transport, this environmentally friendly construction project consolidates Brasilia’s status as a world leader in sustainable urban planning, creating a valuable legacy for other sectors of the local economy. The stadium will be Brasilia’s third, along with the Serejao, the home of Brasiliense, and the Bezerrao, which was recently refurbished and reopened in 2008. It is named after famed Brazilian footballer Mané Garrincha, who won the 1958 and 1962 World Cup with the Brazil national team.. Owner: TERRACAP - Agência de Desenvolvimento do Distrito Federal or Department of Sports, Physical Education and Recreation of Distrito Federal. It is a new multi-use stadium in Cuiabá, Brazil. It replaced the old Estádio José Fragelli (Verdão), which used to be the principal football stadium of the city of Cuiabá. The site’s air and soil quality is also constantly monitored, all of which means the stadium’s nickname of ‘O Verdão’ (The Big Green). The stadium was built at the previous location of a Brazilian Army powder depot. In 1934, the stadium was renamed Estádio Joaquim Américo Guimarães. In 2005, the stadium was renamed Kyocera Arena, after the Japanese company Kyocera purchased the naming rights. The contract with Kyocera that gave the company naming rights expired in early 2008. It was not renewed, and no new partnership was announced. The stadium went back to its old name, Arena da Baixada. Its formal name honors Plácido Aderaldo Castelo, who served as the Governor of Ceará from September 12, 1966 to March 15, 1971, and was a leader in getting the stadium built. The city is situated at the heart of the Amazon rainforest. The refurbished stadium is enclosed by a metal structure designed to resemble a straw basket which is a product the region is famous for. The Arena da Amazônia was designed by German architecture firm gmp Architekten, also responsible for Frankfurt’s Commerzbank Arena and Warsaw’s Stadion Narodowy. It replaced the old Machadão stadium, which got demolished in October 2011. The design of the football stadium by leading sports architect, Christopher Lee of the firm Populous is inspired by Natal’s famous sand dunes. It is described by Mr. Lee as "... the most perfect stadium in South America." Estádio Beira-Rio replaced Internacional's previous stadium, the Estádio dos Eucaliptos. During the 1960s, Estádio Beira-Rio was ironically called "Bóia Cativa", since it seemed that never it would be concluded, especially since those were difficult times for Internacional on the field. 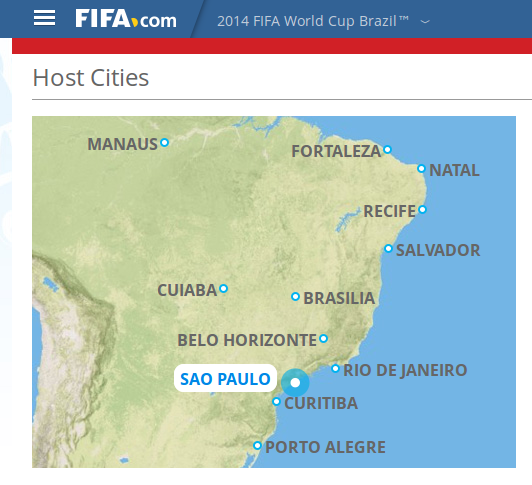 Beira-Rio is the second biggest stadium in the Rio Grande do Sul state and also South Brazil. It is known as Itaipava Arena Pernambuco due to sponsorship reasons of the beer brewer Itaipava who got the naming rights. Financed by a public-private partnership between the state of Pernambuco and a consortium led by construction firm Odebrecht including event management firm AEG. A new multi-use stadium in the Western suburbs of the Recife metropolitan area, in São Lourenço da Mata, Brazil. Recife, a city whose passion for the beautiful game is without question, is home to three historic Brazilian clubs in the shape of Nautico, Santa Cruz and Sport. The Arena Pernambuco is featured on "You Don't Have to Live Like a Referee", the sixteenth episode of the 25th season of the American animated sitcom The Simpsons, and the 546th episode of the series. It was the flagship venue for the 1950 World Cup. It was meant to become the biggest football stadium in the world. Officially known as the Estadio Octavio Mangabeira and was closed in November 2007 and subsequently demolished three years later. The stadium that has risen in its place, the Arena Fonte Nova, has been modelled on its predecessor and is covered by a lightweight, metal roof. From 2013, the brewery Itaipava from Grupo Petropolis, will sign the naming rights of the new arena "Itaipava Arena Fonte Nova" under a sponsorship agreement until the year 2023, amounting to $ 100 million. This was the first naming rights agreement signed to 2014 World Cup stadiums. 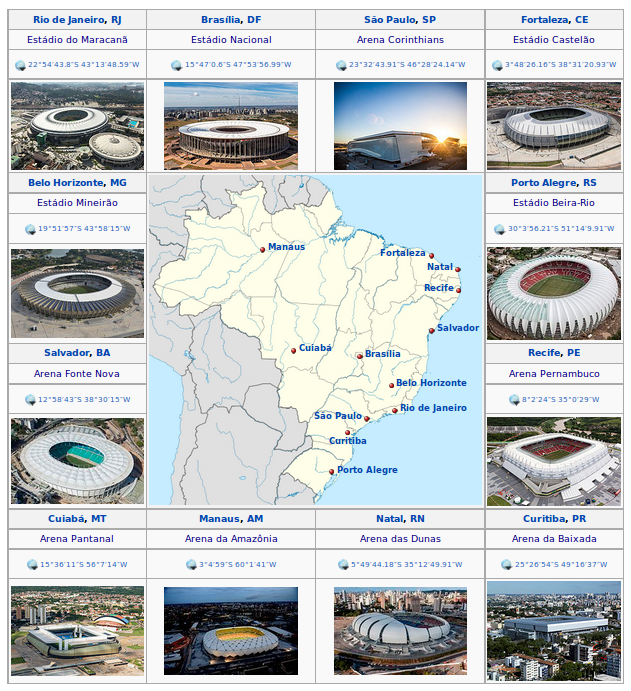 It is the eleventh-largest stadium in Brazil.